You may have heard us mention this a few times over the last few years but we’re now getting near to implementing the roadworthiness directive. This follows recent Department for Transport (DfT) consultations. The directive is a very broad set of rules that covers everything to do with the on road condition of vehicles. It won’t mean huge changes for us, but there’ll still be changes in the world of MOT, including some positive steps to tighten-up the rules on emissions. One of the changes related to the directive is how ‘historic vehicles’ are dealt with, which is something DfT consulted on. 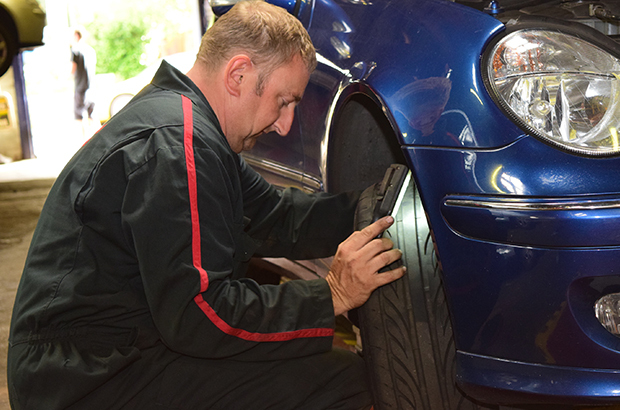 As a result of this consultation, the government has decided that there’ll now be a ‘rolling 40 year old’ exemption from MOT, instead of the current fixed pre-1960 rule. However, this will only apply for those vehicles that haven’t been modified. The directive will change how we categorise defects. From 20 May 2018, they’ll be categorised as either ‘dangerous’, ‘major’ or ‘minor’, to help focus drivers on what’s more important. Whilst this will help us explain to them how to look after their vehicles better, we’ll need to be careful not to make things complex for us all. ‘Dangerous’ and ‘major’ defects will cause the MOT to be failed. We’re still working on how we’ll make this look for drivers, but we want to make sure that the dangerous defects stand out on the documentation. This is to make it clear to them that they shouldn’t drive the vehicle away in that condition. Where ‘minor’ defects are identified, these can be considered along the same lines as advisories are today. We’re still doing some research on how these sit alongside some of things we currently issue advisories for, and how best to display this information to drivers. When things are clearer, we’ll blog about this again. Some of you will see us as we’re out and about doing our research, so please feel free to ask us about it! We’re considering ways of allowing observations to be noted that aren’t aimed at the car driver. An example of this might be if there was something like an undertray fitted that was stopping a tester from getting to parts that they would otherwise inspect. This could be useful information to have noted for an MOT appeal, but it wouldn’t appear on the notes given to the car drivers, because it’s not information aimed at them. It would be good to hear your thoughts on this, so please leave your comments at the end of this blog post. The other area on advisories that we’re considering changing, is whether we move away from manual advisories - if all the ‘test related’ and other standard ones are available and easy to find. This may be a contentious change for some, so we’ll set out our thoughts in more detail in a follow-up blog post to make sure we get your feedback. There will also be some changes to the emissions test that will lower the limits for diesel cars. This will mean some changes to diesel smoke meter settings or software. We’re currently working with the garage equipment manufacturers to enable them to get ready to do this work. We’ll update you on what needs changing later this month, to give you at least 6 months to schedule this work in. All of these changes will mean that the manual will change. We’ve already been getting feedback on an early version from our VTS Council members, and we’ll make sure this is captured in the revised version, ready to be published shortly. The directive will require us to move to the standard EU vehicle categories, which will help to bring consistency, from vehicle approval through to on road use. However, we’ll keep to the MOT classes for garage authorisations, for now - so this shouldn’t change the way how we do testing too much. We’re determined that the directive, and the changes it will bring, should make it easier for us to accurately record MOT results and provide information that will help drivers to look after their vehicles. This means that we’ll need to do a lot of research with garages and their customers, so expect to see us out and about. In the meantime, we’d appreciate your feedback, below in the comments section, so we can plan the way ahead. what is wrong with the current classes of mot reporting ....pass or fail is clear and an item marked dangerous focusses the owners attention ...if clarification of why noted as dangerous is required simply ask....none of us bite (do we ?) This new system will get confusing and looks like "fudge"